In this post we take a look at how to allow your Tomcat 8.5 or Tomcat 9 installation to handle multiple SSL certificates on a single port. Read on for the details. Server Name Indication (SNI) has been implemented in Tomcat 8.5 and 9, and it means certificates can be mapped to the hostname of the incoming request. This allows Tomcat to respond with different certificates on a single HTTPS port. This blog post looks at how to configure SNI in Tomcat 9. For this example, we'll create two self-signed certificates. This is done with the openssl command. The output below shows how the first self-signed certificate is created for the "Internet Widgets" company. 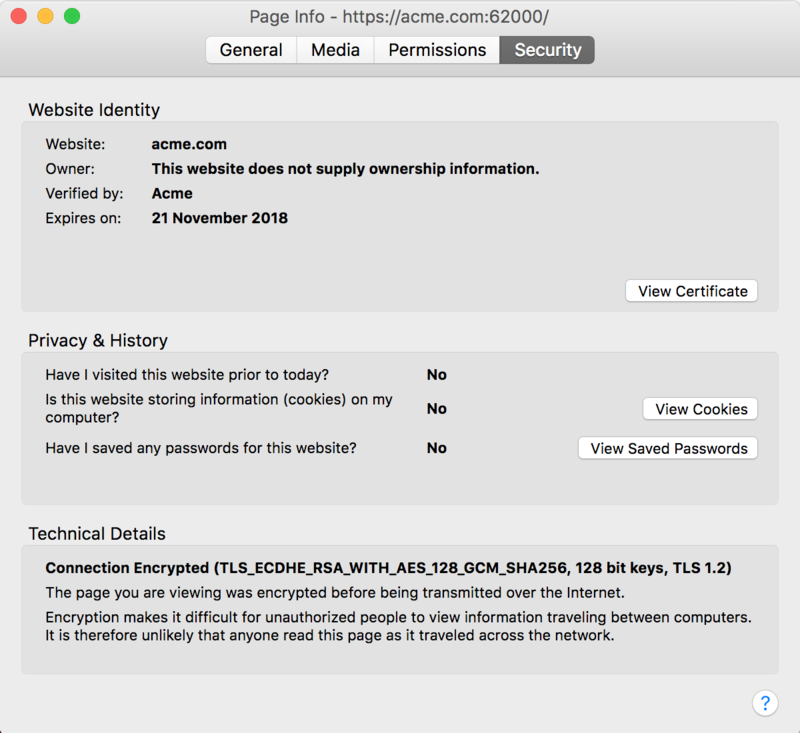 We then create a second self-signed certificate for the "Acme" company. Copy the files acme.crt, acme.key, widgets.crt and widgets.key into the Tomcat 9 conf directory. In the conf/server.xml file, we'll add a new <Connector> element to reference these certificates. There are a few important aspects to this configuration block, so we'll work through them one by one. 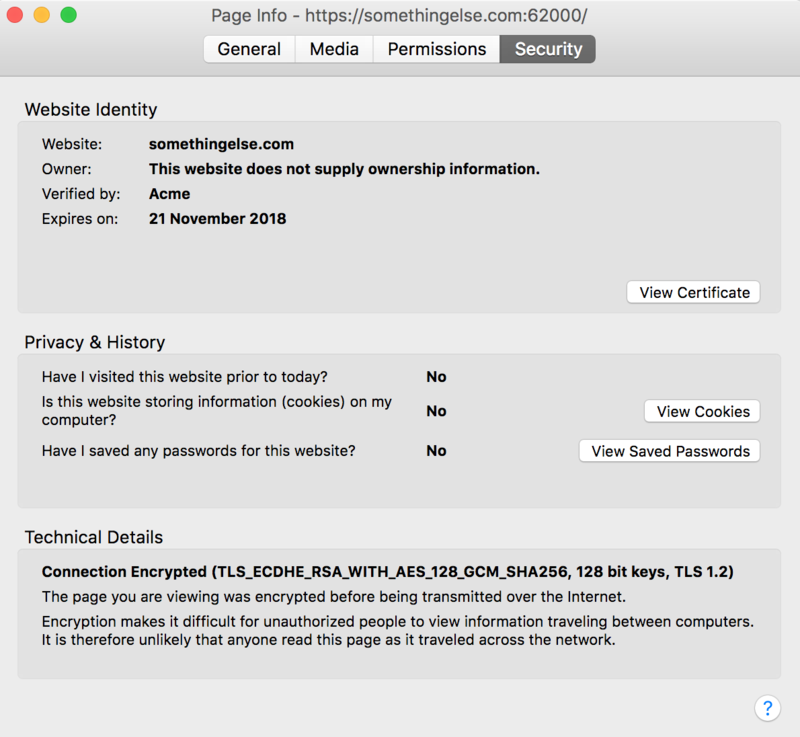 The defaultSSLHostConfigName="acme.com" attribute has defined the <SSLHostConfig hostName="acme.com"> to be the default. This means that when a request comes for a host that is not either acme.com or widgets.com, the response will be generated using the acme.com certificate. You must have at least one default host configured. The protocol="org.apache.coyote.http11.Http11AprProtocol" attribute configures Tomcat to use the Apache Portable Runtime (APR), which means that the OpenSSL engine will be used while generating the HTTPS response. Typically deferring to OpenSSL results in better performance than using native Java protocols. The Tomcat documentation has more details on the protocols that are available. We then have the certificate configuration for each of the hostnames. This is the configuration for the acme.com hostname. The CATALINA_HOME environment variable should be set to the location of the root directory of the "binary" distribution of Tomcat. The CATALINA_BASE environment variable specifies the location of the root directory of the "active configuration" of Tomcat. It is optional. It defaults to be equal to CATALINA_HOME. Since we don't actually own the acme.com or widgets.com domains, we'll edit the hosts file to resolve these addresses to localhost. On a Mac and Linux OS, this file is found under /etc/hosts. Adding the following lines to the hosts file will direct these domains to localhost. We'll also throw in the somethingelse.com hostname to see which certificate an unmapped host returns. We can now open up the link https://widgets.com:62000. In Firefox, we can see that this request has the following certificate details. Notice the Verified by field, which shows Internet Widgets. Then open up https://acme.com:62000. The Verified by field now shows Acme. Now open up https://somethingelse.com:62000. The Verified by field still shows Acme, because this certificate is the default, and is used for any host that doesn't have a specific mapping defined. So we can see that a single instance of Tomcat on a single port can respond with multiple different certificates depending on the host that was requested. This is the benefit that SNI provides to web servers.